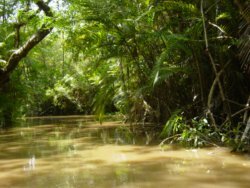 The Amazon Rainforest is an incredibly diverse ecosystem that is home to new species of plants, animals, insects, and birds that are discovered every day, and yet there are probably hundreds, if not thousands of species yet to be discovered. This fact alone draws hundreds of scientists each year to this area of the world to see what they might discover and be able to present to the world of science! This impressive expanse of ecosystem includes savannas, rainforests, deciduous forests, seasonal forests, and flooded forests. No two ecosystems within the Amazonian rainforest are identical, making this massive area the most diverse and undiscovered in the world. The rainforest is known as the lungs of the planet because it boasts nearly 1,000,000,000 different species of fish, insects, mammals, birds, spiders, animals, and amphibians. The species of wildlife in Brazil's rainforest accounts for roughly one-tenth of the world's wildlife species! Endangered species of the Amazon include: some species of the poison dart frog, jaguar, three-toed sloth, hyacinth macaw, and the golden-lion tamarin. What is the climate like across this huge expanse of rainforest? It's a hot and humid 79 degrees pretty much throughout the year as an average, but temperatures during the day can reach up to 93 degrees Fahrenheit. It may feel more humid prior to and following the heavy downpours for which the Amazon is known. The heavy rains are typical during all 12 months of the year. The Amazon has received up to 180 inches of rain in a single year! How Does the Rainforest Benefit the Planet? The vegetation in the rainforest produces nearly 20% of the oxygen needed around the world! 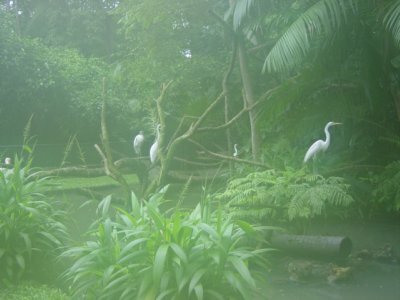 The tropical rainforest provides food for the world to eat. The foods we enjoy without giving it much thought include pineapples, coffee, ginger, oranges, bananas, chocolate, black pepper, grapefruit, lemons, nuts, spices, vanilla, mangoes, nuts, tomatoes, and coconuts, to name a few. Powerful drugs that fight cancer are produced from plants found growing in the rainforest. Many other helpful medicines are produced from Amazon plants as well. Sustainable resources such as wood, food items, and more are found in the rainforest. There are nearly 30 million people or 350 indigenous groups of people living within the rainforest of the Amazon. Modern day progress has forced many of these indigenous groups to adopt modern ways of living, including selling items to tourists and abandoning their beloved private way of life. The shamans or medicine men of these ethnic groups have important knowledge of medicinal plants and foods found in the rainforest. Unless this knowledge is obtained and documented, generations of helpful medicinal information will be hopelessly lost. The Amazon is home to hundreds, if not thousands, of plant and flower species. Many plants in this area of the world are used as medicine for everything from a headache to a skin rash and much more. For more please visit our Tropical Rainforest Plants page. 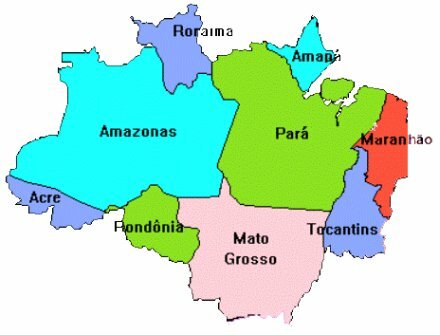 The deforestation of the Amazon must be stopped or else the climate of the rainforest and ultimately the world will be adversely affected. The indigenous people of the rainforest have much to lose - their livelihood and perhaps their very lives. Ranchers face the very real possibility of losing all they've worked so hard to acquire. 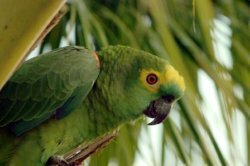 Many of the diverse plant and animal species of the Amazon face extinction if deforestation isn't stopped and we know this will have a global affect, not just a local one. Please see Endangered Species in the Rainforest for more information. Parts of the Amazon experienced a severe drought in 2005, which resulted in many tree deaths and forest fires. Now, again in 2010, the Amazon is suffering from the worst drought it has seen in 100 years. The rivers are drying up, people are cut off from regular supply deliveries, and the wildlife and plants of the Amazon have been severely affected. It's very possible that this drought will be disastrous if the rainforest of the Amazon doesn't see some significant rainfall very soon.